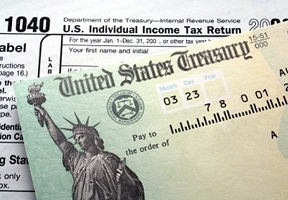 Ordering a tax transcript will not help taxpayers find out when they will get their tax refund. While taxpayers can use a transcript to validate past income and tax filing status for mortgage, student and small business loan applications and to help with tax preparation, they should use “Where’s My Refund?” to check the status of their refund. “Where’s My Refund?” shows the processing of the tax return from receipt to completion. It will tell the taxpayer their tax return has been received and if the refund has been approved or sent. Annual tax planning is for everyone. To help avoid an unexpected tax outcome next year, taxpayers should make changes now to prepare for when they file 2019 tax returns next year. This can mean adjusting tax withholding with their employer or increasing estimated or additional tax payments. Checking withholding is important every year, and the IRS encourages people to do a Paycheck Checkup. 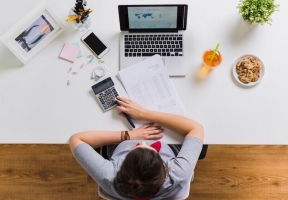 This is especially important for anyone who got an unexpected result from filing their tax return this year because they had too much or too little withheld from their paycheck in 2018. Use the IRS Withholding Calculator to determine whether the right amount is being withheld. If an adjustment is needed, taxpayers should submit a 2019 Form W-4, Employee’s Withholding Allowance Certificate, to their employer as soon as possible.